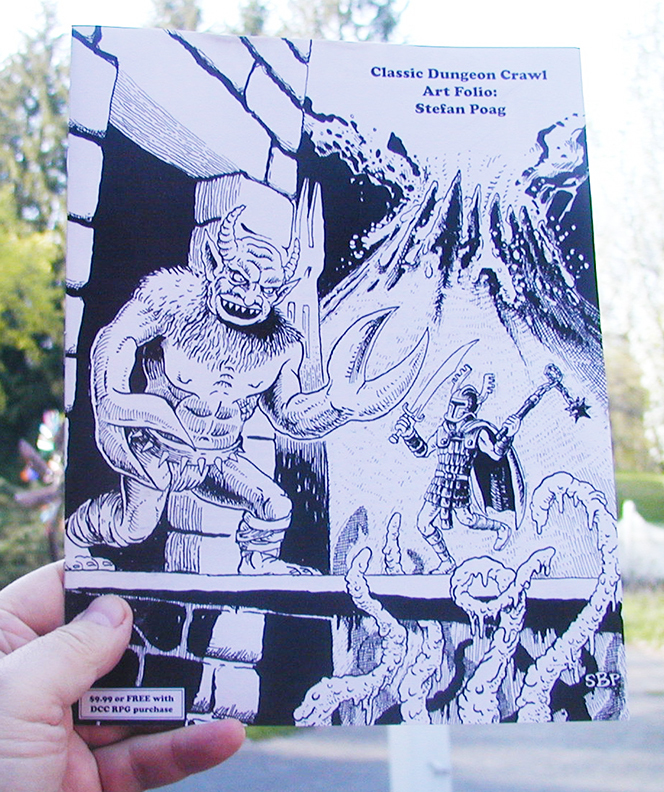 I just got copies of my Goodman Games artist portfolio booklet which is coming out soon – you can get one for free if you pre-order the new DCC Rulebook with Jeff Easley’s art on the cover! It’s pretty cool — I’ve never had anything like this before. 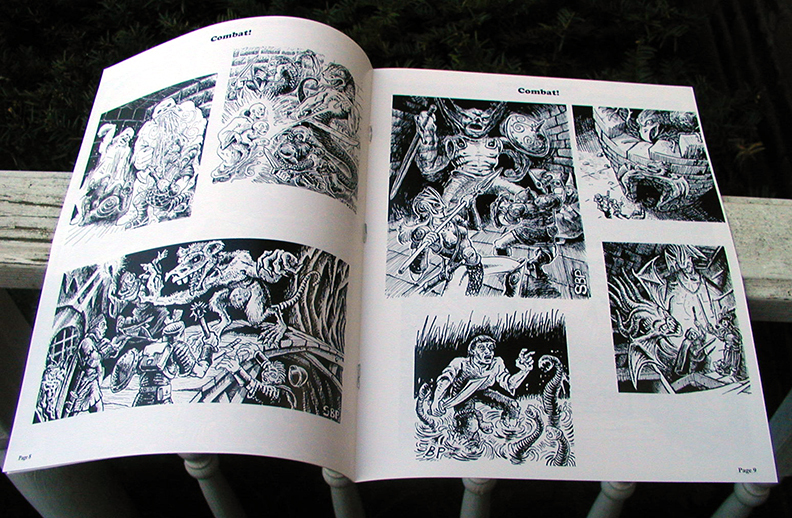 It’s 16 pages, quality printed Black & White — mostly drawings with just three pages of my pointless ramblings about my influences and whatnot… so if reading about me going on about my influences sounds painful, realize that there is only 3 pages of it… and even those pages are partially pictures. I think it’s dropping in June… so save your $$$! Congrats a whole bunch of times. Very cool. Dude, you’re one of my all time favorite artists!